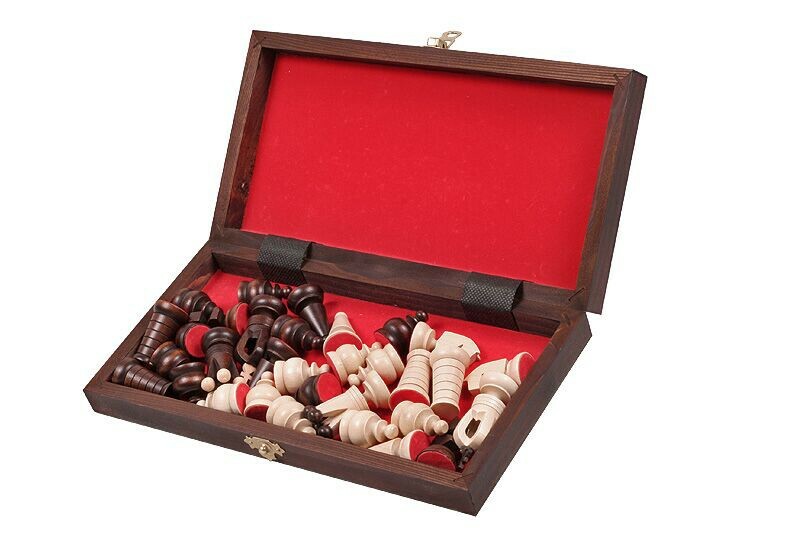 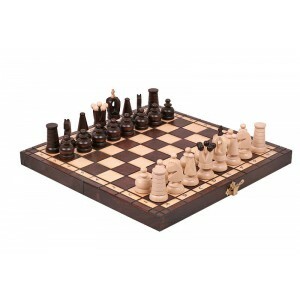 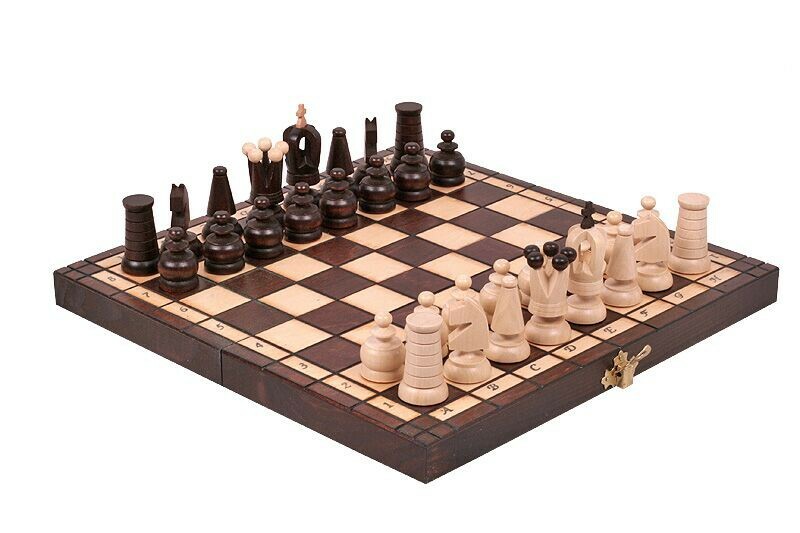 Thanks to its size the Royal Mini Chess Set can be considered as a travel one as well. 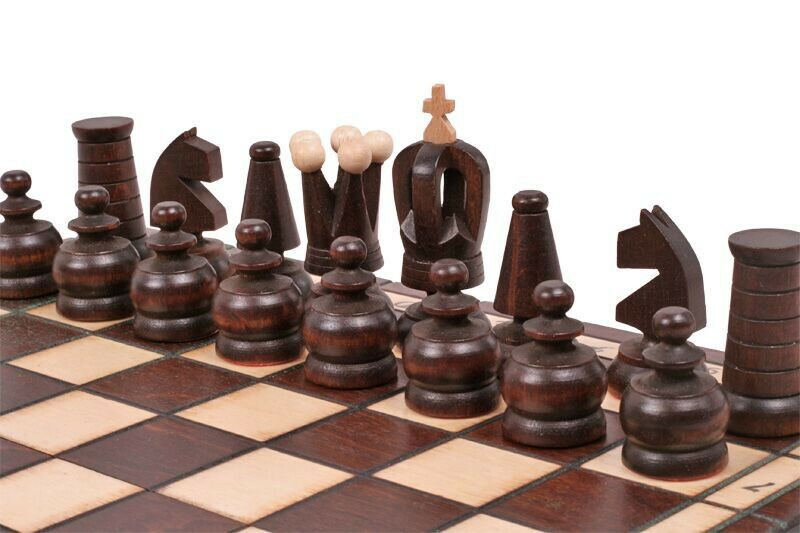 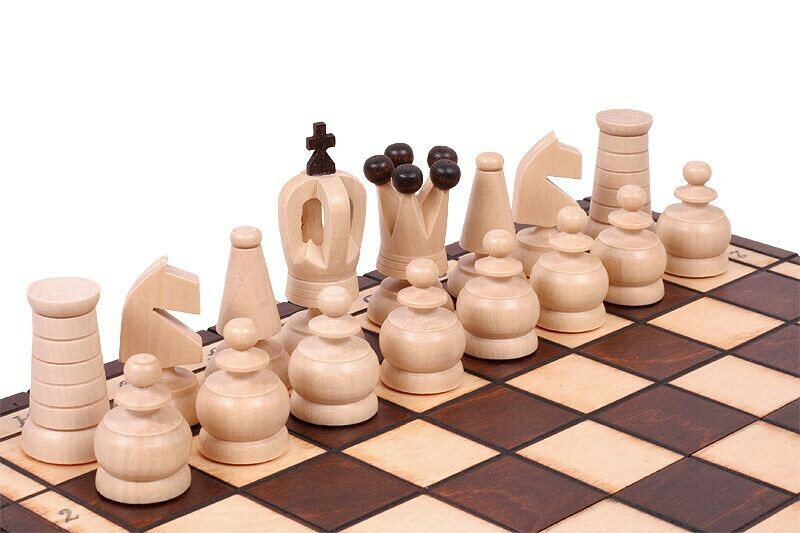 These lovely hand-crafted chessmen are made from hornbeam and beech wood. 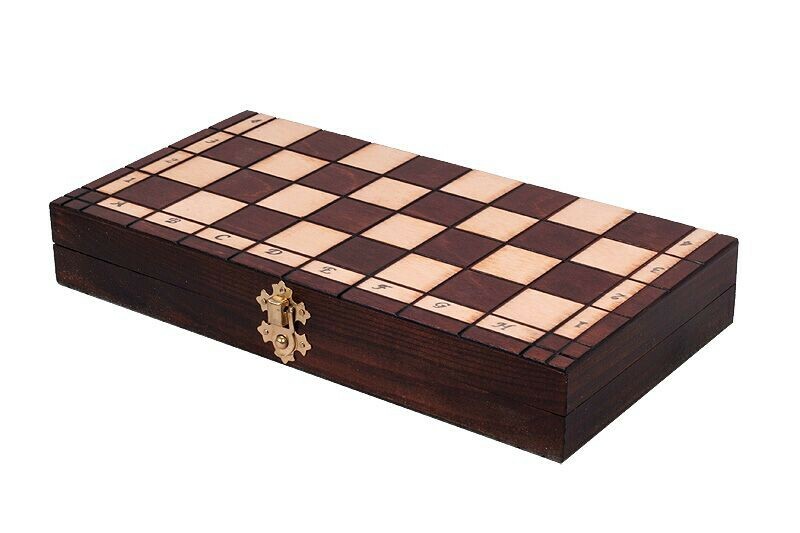 The burned folding chess board has two compartments finished with felt lining for storage the chess pieces inside.